Close your eyes and imagine what a banker looks like. You must be imagining someone wearing a formal shirt, big glasses and typing hard on their computer. In simple terms, you can say bankers are not very cool. But wait till you see this viral video of a banker dressed as Spiderman on his last day at work. Usually, people who work in a bank are pretty straight. They don’t like to goof around. But recently, a video was uploaded on YouTube, showing a banker from Sao Paulo in Brazil who came to work dressed up like a spiderman. The guy had submitted his resignation letter to the bank and it was his last day at work. 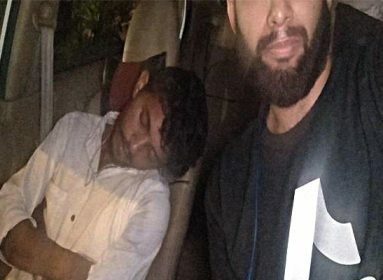 Instead of being boring just like other bankers, this guy decided to do something to his colleagues that’ll help his colleagues to remember him for the longest time. It wasn’t supposed to be a cosplay day at work and seeing him dressed up like spidey everyone at the work was confused. The video was uploaded by the colleague of spidey named Walter Costa on his YouTube channel. The video is 51 seconds long in which this banker spiderman can be seen distributing sweets (candies) among his colleagues and also giving hugs to the other male colleagues. 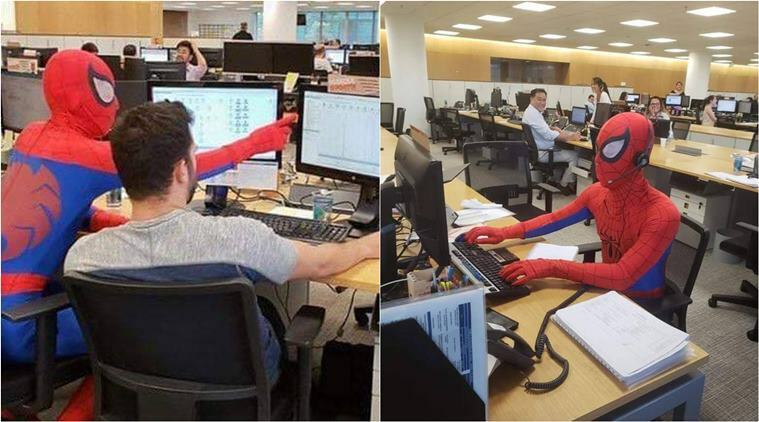 Though it really went viral, when Walter decided to share the picture of this banker dressed as Spiderman at work on his Instagram. After seeing this viral video one thing is clear, that not all the bankers are lame. There are a few who know how to act cool and this banker spidey must have made everyone’s day at work. Well, in case you are also going to serve your last day at work in the near future. You can use this idea to make your last but fresh memories at work. You can even go for a wolverine or venom costume!